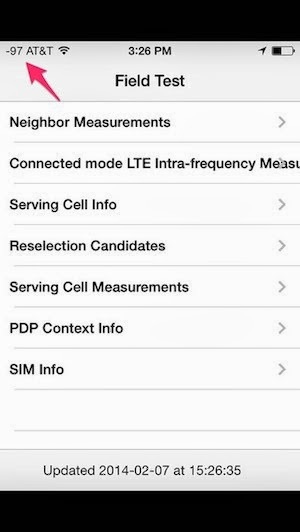 iPhone will open Field Test app and signal strength will display on the top-left corner of your phone. 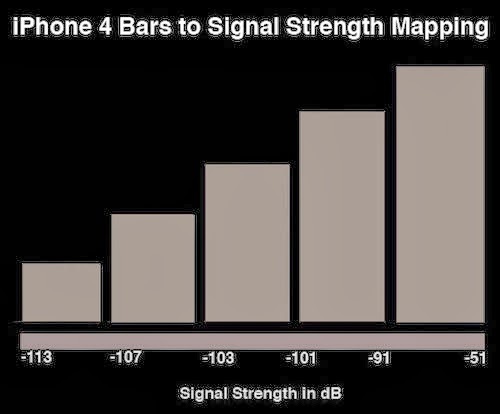 The signal strength is measured in dB. The higher number shows the better signal strength and the maximum signal value is 0. 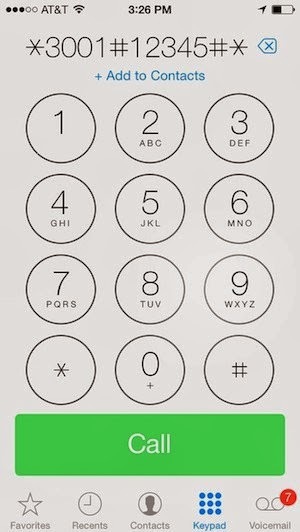 To display signal in number as default, press and hold Power and Home buttons at the same time until iPhone is shut down. 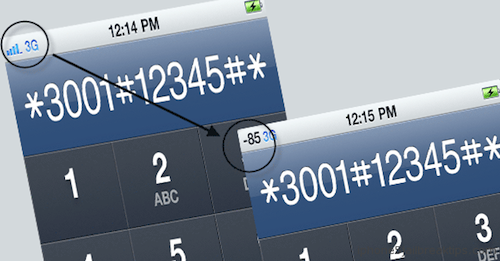 Then, turn on the phone again to see the signal strength in number. In the case you want to restore to previous setting, open Field Test app and press Home button to return the the home screen.